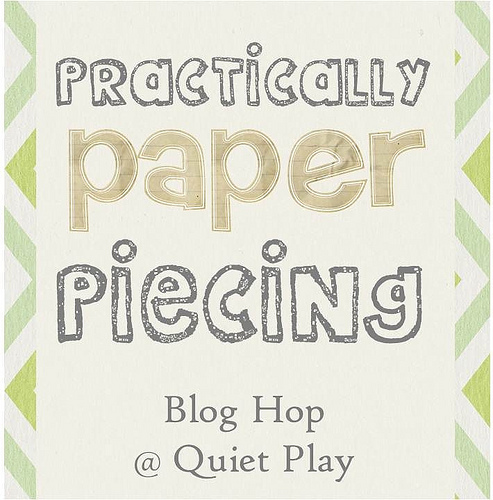 Kristy at Quiet Play is hosting a blog hop filled with unique orphaned paper pieced blocks. Look at the fabulous line-up of guest bloggers. I have whipped up a 12″ block named ‘J’ through the looking glass, as I deliberately inverted the letter J to make it a little quirky and surreal ( Why not, I say!) It could also be an upside down candy cane, fishing hook, umbrella handle or weird looking hockey stick. I have plans to embellish the block with trim and make the T-shirt hang from a clothesline with pegs. It will be eventually made into a cushion. Pattern for 12″ finished block found here and here. I have even included the segments mirrored for those that love a perfect ‘J’. Join in the fun and upload your finished projects to Flickr Group and Pinterest Board with all the finished blocks and projects. Oh that is such a cute little t-shirt Jane! Love the clothesline idea – very creative. It'll be a fab cushion! I need to get my paper piecing on. I am going to do a block from the Summer Solstice Series this weekend. Fun block, especially for all of us "J's" out there; perfect and otherwise! Thanks for sharing. I like your idea to make it look like it is hanging by pegs on a clothesline. What a gorgeous block! This kind of thing would make a great present personalised with the right letter!